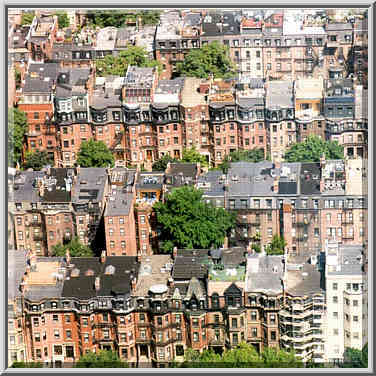 View of recurring houses at Back Bay from Hancock Tower in Boston. Massachusetts, August 3, 1999. Kyk van herhalende huise by Back Bay uit Hancock-toring in Boston. Massachusetts, August 3, 1999. Shiko të shtëpive të përsëritura në Kthehu Bay nga Hancock Tower në Boston. Massachusetts, 3 gusht 1999. عرض المنازل المتكررة في خليج عودة من برج هانكوك في بوسطن. ماساشوستس ، 3 أغسطس 1999. Դիտել Պարբերական տներ ժամը Back Bay - ից Hancock Tower Բոստոնում. Մասաչուսեթս, Օգոստոս 3, 1999 թ.
Bostondakı Hancock Tower Geri Dön körfəzində təkrarlanan evlərin bax. Massaçusets, 3 avqust, 1999. Itzuli Bay tan errepikakor etxe Boston Hancock Dorrea argazkiak ikuspegia. Massachusetts, abuztuaren 3a, 1999. 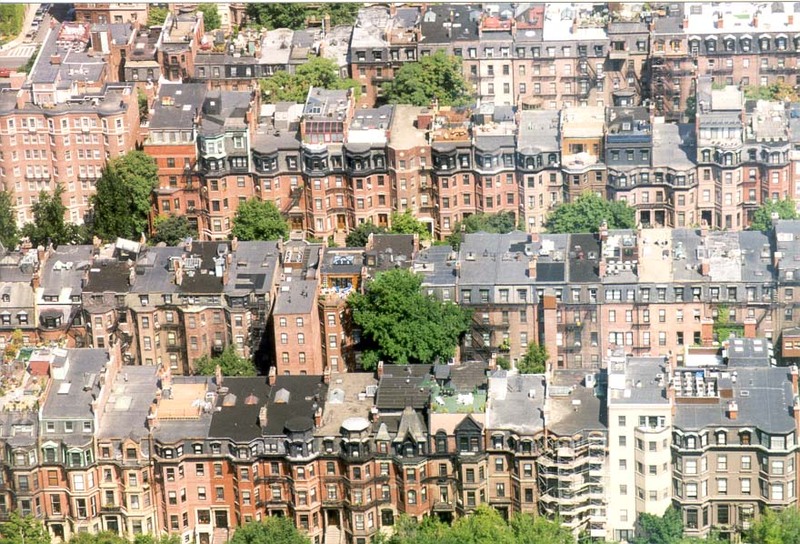 Адкрыць паўтаральных дамоў на Back Bay ад Hancock Tower у Бостане. Масачусэтс, 3 жніўня 1999 года. পিছনে বে এ Hancock টাওয়ার বস্টন থেকে দেখুন আবৃত্ত ঘর এর. ম্যাসাচুসেটস, আগস্ট 3, 1999. Преглед на повтарящи се къщи в Back Bay от Hancock Tower в Бостън. Масачузетс, август 3, 1999. Vista de les cases es repeteixen en Back Bay de la Torre Hancock a Boston. Massachusetts, 3 d'agost de 1999. Pogled na ponavljajućih kuće Back Bay od Hancock Tower u Bostonu. Massachusetts, 3. kolovoz 1999. Vzhledem k opakující se domů u Back zátoku od Hancock Tower v Bostonu. Massachusetts, 3. srpna 1999. Udsigt over tilbagevendende huse i Back Bay fra Hancock Tower i Boston. Massachusetts, august 3, 1999. Gezicht op huizen aan terugkerende Back Bay van Hancock Tower in Boston. Massachusetts, 3 augustus 1999. Vaata korduvate maja juures Back Bay alates Hancock Tower Bostonis. Massachusetts, 3. august 1999. View ng mga sumusunod na mga bahay sa Back Bay mula Hancock Tower sa Boston. Massachusetts, 3 Agosto 1999. Katso toistuvia taloja Back Bay Hancock Tower Bostonissa. Massachusetts 3. elokuuta 1999. Vue des maisons récurrents à Back Bay de Hancock Tower à Boston. Massachusetts, le 3 août 1999. Vista de casas recorrente en Back Bay de Hancock Tower en Boston. Massachusetts, 3 de agosto de 1999.
ხედი განმეორებადი სახლები at უკან Bay საწყისი Hancock Tower ბოსტონში. მასაჩუსეტსი, 3 აგვისტო, 1999. Blick auf wiederkehrende Häuser am Back Bay von Hancock Tower in Boston. Massachusetts, 3. August 1999. પાછા બે પર ફરી હાઉસ ઓફ બોસ્ટન Hancock ટાવર પરથી જુઓ. મેસાચુસેટ્સ, 3 ઓગસ્ટ, 1999. Προβολή των επαναλαμβανόμενων σπιτιών σε Back Bay από Hancock Tower στη Βοστώνη. Μασαχουσέτη, 3 Αυγούστου 1999. View nan kay RECURRING nan Back Bay soti nan Hancock Tower nan Boston. Massachusetts, 3 out, 1999. צפה הבתים חוזרים על חזרה מפרץ מ הנקוק מגדל בבוסטון. מסצ 'וסטס, 3 באוגוסט 1999. बोस्टन में Hancock टॉवर से वापस खाड़ी में आवर्ती घरों के देखें. मैसाचुसेट्स, 3 अगस्त, 1999. Nézd meg a visszatérő házak Back Bay a Hancock Tower Bostonban. Massachusetts, augusztus 3, 1999. Skoða endurnýjaðra hús á Back Bay Hancock Tower í Boston. Massachusetts, August 3, 1999. 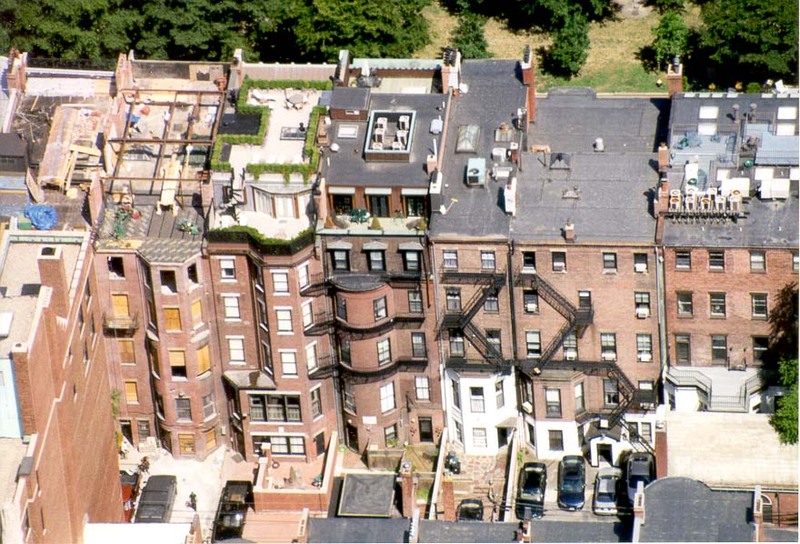 Lihat rumah berulang di Back Bay dari Hancock Tower di Boston. Massachusetts, 3 Agustus 1999. Féach ar na tithe arís agus arís eile ar ais Cuan ó Hancock Túr i mBostún. Massachusetts, 3 Lúnasa, 1999. Veduta di case ricorrenti a Back Bay da Hancock Tower di Boston. Massachusetts, 3 agosto 1999. ಬಾಸ್ಟನ್ ಹ್ಯಾನ್ಕಾಕ್ ಟವರ್ ನಿಂದ ಬ್ಯಾಕ್ ಬೇ ನಲ್ಲಿ ಮರುಕಳಿಸುವ ಮನೆ ನೋಟ. ಮಸಾಚುಸೆಟ್ಸ್, ಆಗಸ್ಟ್ 3, 1999. 보스턴에서 핸콕 타워에서 위로 베이에서 반복되는 집들보기. 매사 추세츠, 1999년 8월 3일. View domicilia reuertendi Back Hancock Tower sinus in Boston. Massachusetts, August III, MCMXCIX. Skats uz atkārtotu māju pie Back Bay no Boston Hancock Tower. Massachusetts, 3 augusts, 1999. Peržiūrėti pasikartojančių namus ne Back Bay nuo Hancock Tower Bostone. Masačusetsas, rugpjūčio 3, 1999. Преглед на обновени куќи на Назад Залив од Хенкок кула во Бостон. Масачусетс, 3 август 1999 година. 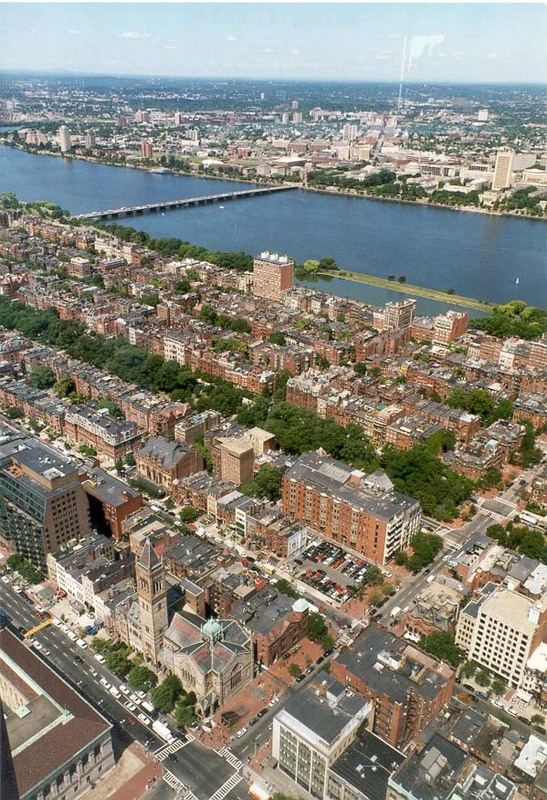 Lihat rumah berulang di Back Bay dari Hancock Tower di Boston. Massachusetts, 3 Ogos 1999. View tal djar rikurrenti fuq Lura Bajja minn Hancock Torri fil Boston. Massachusetts, 3 Awissu, 1999. Utsikt over tilbakevendende husene på Back Bay fra Hancock Tower i Boston. Massachusetts, 3 august 1999. نمایی از خانه های دوره ای در خلیج بازگشت از هنکاک برج در بوستون است. ماساچوست ، 1999 اوت 3. Zobacz powtarzających się domy z Back Bay Hancock Tower w Bostonie. Massachusetts, 3 sierpnia 1999 roku. 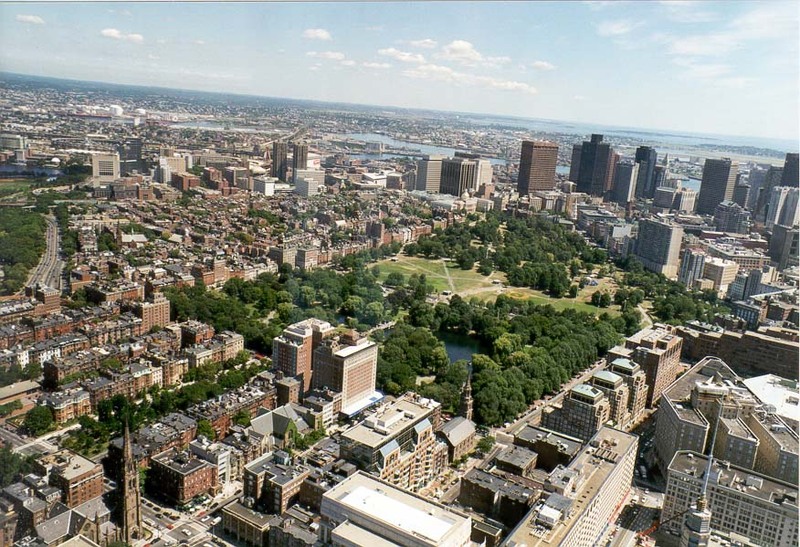 Vista de casas recorrente em Back Bay de Hancock Tower em Boston. Massachusetts, 3 de agosto de 1999. Vezi de case recurente la Back Bay din Hancock Tower din Boston. Massachusetts, 03 august 1999. 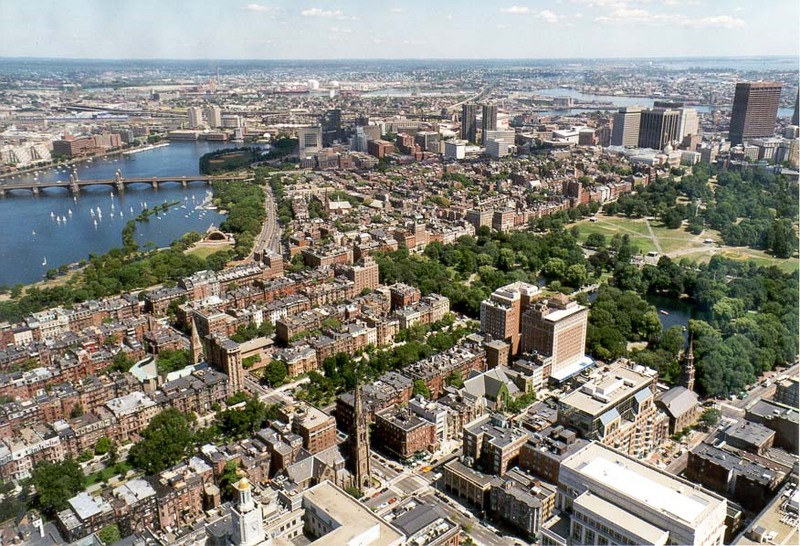 Открыть повторяющихся домов на Back Bay от Hancock Tower в Бостоне. Массачусетс, 3 августа 1999 года. Поглед на периодичне кућа у Бацк Баи из Хенкок кула у Бостону. Масачусетс, 3. август 1999. Vzhľadom na opakujúce sa domov u Back zátoku od Hancock Tower v Bostone. Massachusetts, 3. augusta 1999. Pogled na ponavljajoče hiše na Back Bay od Hancock Tower v Bostonu. Massachusetts, avgust 3, 1999. Vista de las casas se repiten en Back Bay de la Torre Hancock en Boston. Massachusetts, 3 de agosto de 1999. Mtazamo wa nyumba za mara kwa mara katika Back Bay kutoka Hancock Tower katika Boston. Massachusetts, 3 Agosti 1999. Visa återkommande hus på Back Bay från Hancock Tower i Boston. Massachusetts, augusti 3, 1999. போஸ்டனில் ஹான்காக் டவர் இருந்து பேக் பே மணிக்கு மீண்டும் வீடுகள் பார்க்கவும். மாசசூசெட்ஸ், ஆகஸ்ட் 3, 1999. బోస్టన్ లో హాన్కాక్ టవర్ నుండి బ్యాక్ బే వద్ద ఆవర్త ఇళ్ళు దృష్టిలో. మసాచుసెట్స్, ఆగష్టు 3, 1999. Boston Hancock Kulesi Back Bay de yinelenen evlerin görüntüleyin. Massachusetts, 3 Ağustos 1999. Відкрити повторюваних будинків на Back Bay від Hancock Tower в Бостоні. Массачусетс, 3 серпня 1999 року. Hancock بوسٹن میں ٹاور سے واپس خلیج میں بار بار چلنے والی گھروں سے دیکھیں. میساچوسٹس ، 3 اگست ، 1999. 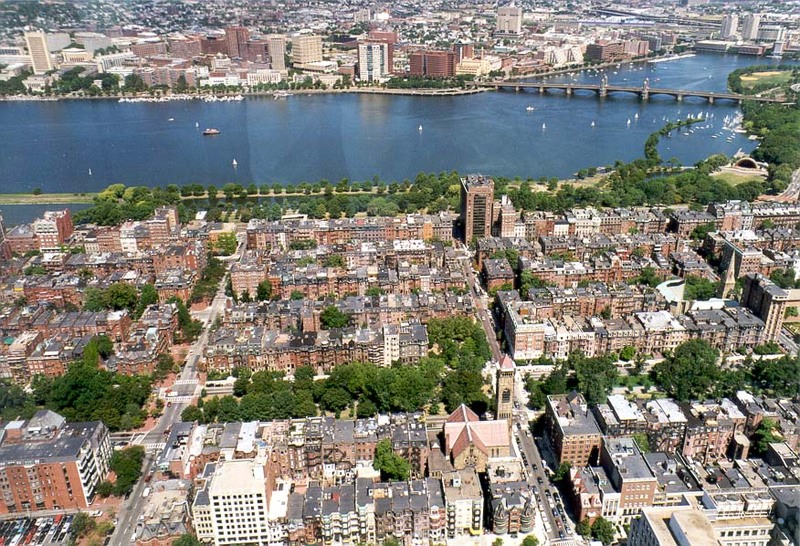 Xem nhà định kỳ vào Back Bay từ Hancock Tower tại Boston. Massachusetts, ngày 03 tháng 8 Năm 1999. Golygfa o dai cylchol ym Back Bae o Hancock Tower yn Boston. Massachusetts, 3 Awst, 1999. View פון ריקערינג הייזער אין צוריק בייַ פון האַנקאָקק טאַוער אין באָסטאָן. מאַססאַטשוסעטץ, 3 אויגוסט 1999.